Since 1987, our principal has been extensively involved at various levels in the building construction and engineering industry and he has also developed a successful practice in architectural copyright law. Due to that involvement he personally lodged the first Appeal in the Domestic Building Tribunal, as it was then known. We have acquired a wealth of experience and knowledge enabling us to provide commercially sound and cost effective practical advice and assistance in facilitating solutions in a speedy and economical manner. Domestic building disputes may be costly time consuming and traumatic and we are acutely aware of the need to provide cost effective solutions. The recent introduction of the DBDRV procedures for resolving domestic building disputes involving owners has provided a mechanism for resolving many of the less complex disputes. However, the Building and Property List of VCAT remains the primary forum for dealing with more complex domestic building disputes notwithstanding that the DBDRV procedures have to be followed prior to VCAT proceedings. Conciliation and other alternative dispute resolution mechanisms remain available as alternative means to address such disputes. Our principal practices in VCAT, mediations, compulsory conferences and conciliations and he also acts in Building Appeals Board matters as well as in matters before the Building Practitioners Board. Our clients include builders, owners, owner builders, developers, joint venturers, owners corporations and all those who need advice on domestic building contracts and building disputes. We explain building contracts in plain English and we provide timely advice before entering into building contracts, during the works and how to best protect your interests. We are able to guide you through and assist during the performance of your building contract with a view to avoiding costly and time consuming disputes. Please feel free to contact us on any existing or future building project or other building issue. Have you had an opportunity of inspecting previous work of the builder? 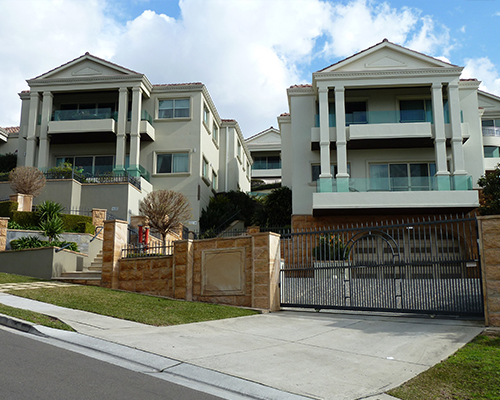 Have you inspected the plans and specifications for the display home of the builder? Is the builder a registered building practitioner? Is the builder eligible for domestic warranty insurance? Have you obtained independent advice on your building contract? Is the builder accessible to you or does the builder have in place procedures for communicating with decision makers?